They say we eat with our eyes before shoveling food into our mouths, so it makes sense that an entire corner of Instagram now exists to highlight food’s visual splendor. 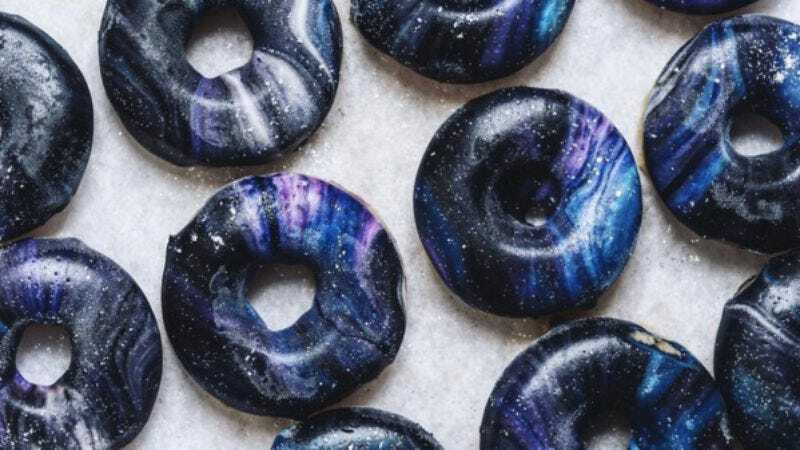 While color has always been an integral part of food photography, the latest trend is using it to achieve a celestial quality. Dubbed by Eater as “Lisa Frankenfoods” (a reference to Lisa Frank, a popular purveyor of colorful school supplies in the ’90s), these dishes fall under categories like “mermaid,” “galaxy,” and “unicorn” (all of which were inspired by the kaleidoscopic hair trends lighting up Pinterest). If there’s one unifying factor, it’s the way they incorporate pastels to give food an almost otherworldly aesthetic. The Eater piece traces the roots of these subgenres to Amanda Chantal Bacon, the founder of Los Angeles’ Moon Juice, and its selection of aesthetically pleasing health powders and tinctures. Within Lisa Frankenfoods, there are many subgenres: Mermaid foods, for example, incorporate nautical colors and ingredients such as algae and seaweed, while galaxy treats evoke the iPhone’s visual interpretation of outer space.